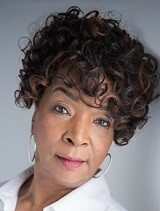 Dr. Lonise Bias is an internationally known motivational speaker, trainer, and consultant. She has delivered powerful keynote addresses, facilitated and developed workshops for faith based and public/private organizations. She seeks to challenge, empower, and strengthen her audiences to move towards positive change. Dr. Bias is the President of B Speaks, (A More Excellent Way), a Life Investment Company that “brings new solutions to solve old problems.” Dr. Bias believes HOPE is not extinct and the best is yet to come for youth, parents, schools, communities, companies, and organizations. Dr. Bias has delivered keynote addresses, and participated in podcast and webinars. Some of her clients include The White House ONDPC Program, United States Air Force Academy, PA Dept. of Education, Prince Georges County Circuit Court Adult and Youth Drug Program, many Governmental agencies, Men, Women and Youth organizations, The Mentor Foundation, Forgiving Mothers Inc., Girl Scouts of America, Danbury Hospital, and Caregiver groups, Youth and Adult Correction Facilities (male and female), Military, Universities, public and private Schools, professional sports (NBA, NFL and MLB), and many audiences. Dr. Bias has appeared on numerous TV shows and radio programs. She has been honored as the Woman of the Year, received awards, and keys to many cities. Dr. Bias received an Honorary Doctorate of Education from Anna Maria College in Paxton Mass. Dr. Bias’s journey was prompted as a public speaker after the death of her oldest son, Len Bias a University of MD. basketball player, who died of cocaine intoxication in June of 1986 two days after being drafted by the Boston Celtics. December of 1990 the Bias family experience the death of their second son Jay the victim of a drive by shooting. These two tragic deaths forged her commitment to strengthen community. She believes, there will be beauty for ashes, believing in the redemptive and transforming power of LOVE AND HOPE!